Beginning in September 1985 and continuing through the following 12 months, Nintendo released a now-infamous string of classic, genre-defining titles; Super Mario Bros., The Legend of Zelda, Metroid and Castlevania. Each of these games would go on to sell millions of copies and spawn entire franchises worth of sequels, although not before hitting a few speed bumps. Among the hurdles was the fact that video games as a medium were still in their infancy, and the question of what it meant to make a sequel had barely been asked. Games are mechanics-driven experiences; where a sequel in a narrative-driven medium is a simple matter of continuing the story, following up on a set of mechanics can be a little more nebulous. These franchises have all been blessed with multiple worthy follow-ups by now, but, at the time, the path forward wasn’t so clear. The first attempt at a sequel to Super Mario Bros. was, at the end of the day, just a set of more challenging levels for those who had mastered the original. Super Mario Bros. 2 did differ from its predecessor in a few small mechanical ways–most notably it established Luigi’s higher jump height but lower ground traction–however, this version was not initially released outside of Japan. Abroad, the Super Mario Bros. 2 players got was a reskinned version of a game called Yume Kōjō: Doki Doki Panic. While not originally released as a Mario title, it did begin early stages of development as one, and Nintendo’s willingness to rebrand it as the official Super Mario Bros. 2 overseas says they clearly had no problem canonizing it as such. This version of SMB2 had little in common with the original outside the core mechanics of running and jumping. SMB used jumping as its primary method for interacting with anything and everything; jumping on enemies defeated them, jumping into bricks destroyed or opened them, obstacles and pits were jumped over to advance, etc. SMB2 (Doki Doki Panic) introduced the idea of picking up and throwing objects. Enemies must be thrown to be defeated, or hit with a thrown object, or thrown into another enemy. Objects must be tossed atop one another to create staircases for Mario and friends to climb, keys must be carried to doors to advance, and boss monsters, which were nearly absent in the original, must have their projectiles hurled back at them to deal damage. Combine this shift in the core mechanic with a quartet of unique playable characters, a health system, and a completely new setting and army of enemies, and you have a game that barely resembles the title it is supposed to be following. Castlevania II: Simon’s Quest atleast superficially resembles the original Castlevania. Simon Belmont underwent a palette swap, but he still walked, jumped and whipped the way he always did. However, Simon’s Quest still suffers from a massive change in direction and focus compared to the original vampire-whipping classic. The tight, challenging platforming puzzles and intense combat made way for expansive, interconnected planes designed to be smoothly traversed repeatedly in both directions. Instead of the gauntlet of obstacles and enemies leading the player straight to their goal, there was a wide-open area to explore while searching for five MacGuffins. RPG mechanics were added, requiring Simon to collect hearts from his fallen enemies to purchase upgrades, items and equipment. Towns and NPCs, both absent in Castlevania, littered the landscape and offered healing, safe haven from enemies and (mostly quite bad) advice. What was once a straightforward series of challenges in pursuit of a singular goal evolved into an epic adventure leading the player back and forth across the countryside. The core loop of Castlevania was a constant push forward to the next challenge, the next stage; Simon’s Quest replaced this with a sense of high adventure, exploration and discovery, and as a result the game winds up belonging in an entirely separate genre, not to mention franchise. This same change in direction happens in reverse with the Metroid franchise. The original Metroid featured expansive, explorable caverns full of secrets and powerups; searching and discovery were the object of the game, and the only way to move forward. Several times, the player is required to find completely unmarked hidden passages in order to advance, or to find a new power-up that allows them to continue. In contrast, Metroid II: The Return of Samus was a more straightforward action title, with the only goal being the extermination of all of the titular alien parasites. Once a predetermined number of metroids had been defeated, an earthquake would be triggered opening up a new pathway to let the player advance to the next section. This lead to a rather superficial illusion that the player was slowly, surely exploring a cavernous expanse, defeating their target foes along the way, but the illusion was not a convincing one. Return of Samus was significantly more action-packed than its precursor, with several different types of metroids of varying strengths and abilities that had to be handled in a myriad of different ways. 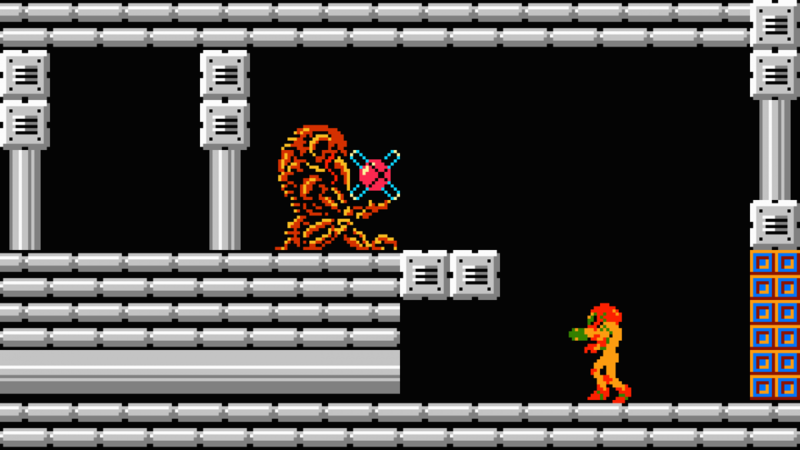 In the original Metroid, combat was primarily used as incentive for players to explore and find power-ups, so they could take on the increasingly tough challenges with their ever-expanding arsenal. In Return of Samus, the focus has shifted entirely to the combat, to the point where the bottom right corner of the screen is devoted to a counter showing how many remaining metroids there are to slay. That same space in later games would provide an on-screen map, but here such a feature is unnecessary, as the labyrinthine, interconnected tunnels have mostly been replaced with linear hallways, with a hodgepodge of branching paths here and there. Rather than delicately pick and choose what systems to keep and what to trash, Zelda II: The Adventure of Link manages to retain the original game’s focus on adventure and exploration but replaces nearly all the mechanics. Instead of the top-down action adventure premise of the first title, The Adventure of Link combines side scrolling action sections with an RPG style overworld. A greater emphasis is put on combat, with multiple methods of attack and defense, but it is kept as an entirely discrete mode from the exploration and puzzle solving aspects of the game. RPG mechanics have been added, with Link gaining experience points to grow in power, downplaying the importance the original game placed on acquiring new equipment and power-ups. These power-ups are still present, but they are, for the most part, only usable on the overworld screen and most only have a handful of predetermined uses. Almost none of the mechanics from the original Legend of Zelda have been retained in the sequel, though it does repeat the pattern of delving into a number of dungeons to collect magical doodads and rescue Princess Zelda. All these sequels have something in common: to varying degrees, they all dilute the core identity built up in their former entries. They take the bare skeletons from the original, but replace all the meat, and organs, and stuff that makes it go. Like building a new house on an old foundation, you can kind of see the outline of its former self if you squint at it really hard, but the inside feels like something unfamiliar. From the 70s and into the 80s, most video game sequels were little more than re-releases of the same title with some additional content, or new levels for the same game (as in the Japanese Super Mario Bros 2, or Hunt the Wumpus 2 and 3). Companies like Nintendo and Konami wanted to avoid that pitfall and take the idea of the video game sequel in a new direction, but what direction that was supposed to be was still unclear. Do you follow up on the narrative with new mechanics, as in Simon’s Quest and Adventure of Link? Do you attempt something new with the same set of mechanics, like Return of Samus? Or do you completely deviate from the original title, with a brand new, tenuously connected experience like Super Mario Bros 2? And what to do now, when your sequel sells millions of copies and it comes time to make a third entry? When you look at the third installments of any of the franchises presented here, they all much more closely resemble the first game rather than the second. Super Mario Bros. 3 returns to its focus on jumping as its primary mechanic, trims out the superfluous playable characters, and even brings Mario and Luigi back to the Mushroom Kingdom on another quest to rescue Princess Toadstool. Castlevania III: Dracula’s Curse is almost indiscernible from the original in screenshots, bringing back the tight platforming challenges of the original and a constant push forward through the gauntlet of enemies. Super Metroid is once again focused on exploring a sprawling network of interconnected caverns in search of secrets and power-ups, with combat de-emphasized in favour of intense atmosphere and a sense of discovery. The Legend of Zelda: A Link to the Past gets rid of the RPG mechanics and recombines the exploration and combat modes into a cohesive whole. That’s not to say that these games are identical to their forefathers. The development of each of these titles was evidently focused on both honing and iterating upon the heart of what made the original popular in the first place. SMB3 adds more complex jumping puzzles and new power-ups to tackle them with, along with branching pathways and a litany of gimmick levels like a giant world and frictionless ice levels. Dracula’s Curse adds in new characters equipped to handle the unique and varied trials in different ways and suiting different play styles, in addition to trimming away some of the more unfair and frustrating obstacles from Castlevania. Super Metroid offers a much, much larger explorable space, with a series of new upgrades that not only made Samus more powerful, but completely changed the way she could interact with the environment and make her way through the space. 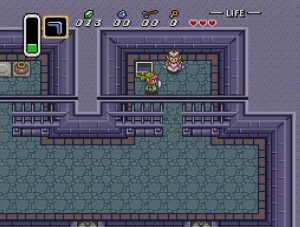 A Link to the Past increases the complexity of the puzzles and allows whole dungeons to exist in a cohesive, quasi-3D space while adding an arsenal of new equipment that can be used in several different ways, or work differently in different contexts. After a significant rough patch of confusion and experimentation, each of these franchises landed on a single philosophy of how a video game sequel should be handled: Find out what works, hone it and iterate on it. And the result can be astonishing; SMB3, Dracula’s Curse, A Link to the Past and Super Metroid are frequently cited as among the best, if not the best, in their respective series. In every case but Castlevania, which would soon undergo a significant genre shift, the third installments would go on to define the direction of the franchise and result in all-time classics and bestsellers Super Mario World, Metroid Prime, and The Legend of Zelda: Ocarina of Time. Castlevania, interestingly would take cues from Super Metroid to give us Castlevania: Symphony of the Night. For Nintendo at least, this practice of sharpening and iterating would continue to this day and allow classic video game hallmarks to continue to exist in the modern world. These franchises survive to this day by continuing the pattern of refinement over time to bring in new ideas safely wrapped around a familiar core. And when it works, no matter how much the furniture is rearranged, it always feels like coming home.